It was a warm, male voice, with a faint accent. Cassandra had the immediate impression of a powerful figure. The man was tall, dark and well-muscled and he seemed to fill up the doorway. 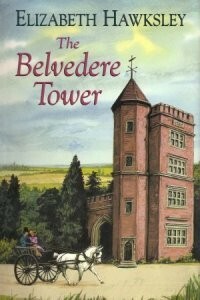 When Cassandra, fleeing from her violent husband, returns to Juniper Park, her dying great-uncle reluctantly offers her the derelict Belvedere Tower. The rest of the estate is sold to Daniel Darke, a Yorkshire mill-owner intent on moving up in the world. Daniel’s hands are soon full: the estate is run-down, the gamekeeper is in league with a poaching gang, and the lovely Agnes, a girl with a hidden agenda, is interested in him. But Daniel, too, has things to hide.